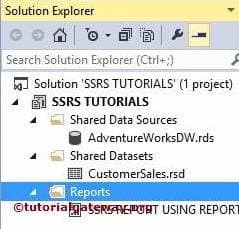 In this article, we will show you, How to create an SSRS Table Report (without using Report Wizard in SQL Server Reporting Services) with a practical example. After creating New SSRS Project, We have three folders in the solution explorer such as Shared Data Sources, Shared Datasets and Reports. Reports folder is enough to design a basic report. 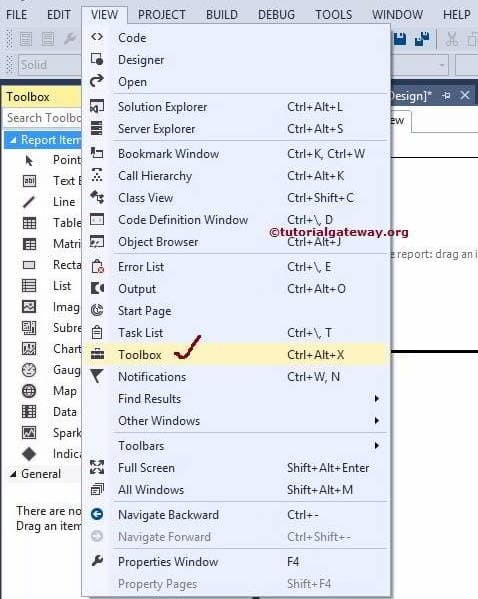 Click on the Add button to create a Blank report as shown in below screenshot. 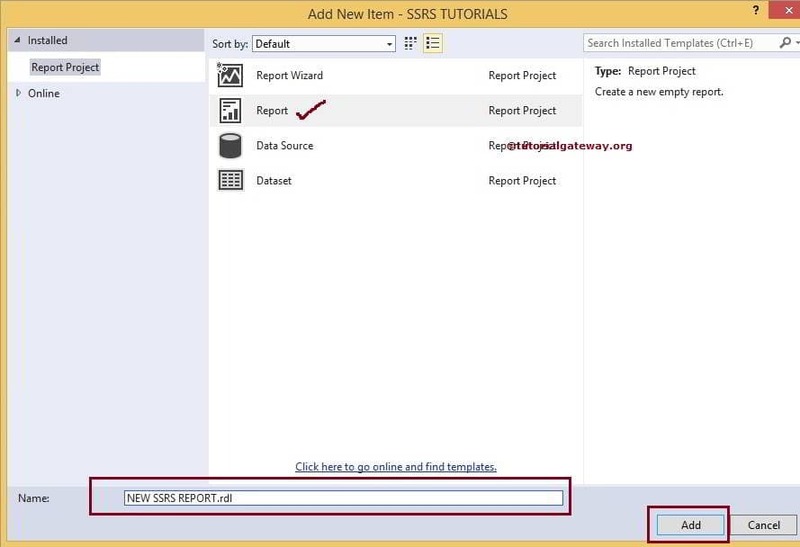 Drag and drop a table from SSRS toolbox to the Data region. In this example, we are using the already created Data Source and Dataset. Please refer to Embedded Data Source and Embedded Dataset article to check the data. We can Drag the Column name from Report data to the Table Column. We successfully created our first SSRS table report. 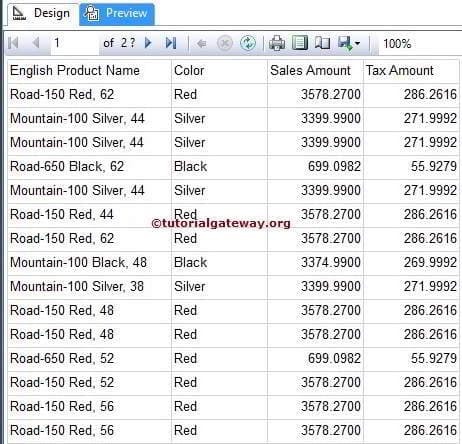 Columns we selecting for our First report are: English Product Name, Color, Sales Amount and Tax Amount (Renamed the TaxAmt).